The current Formula One manufacturers have come to an agreement to reduce the cost of a V6 Hybrid power unit considerably, and ensure that customer teams will not be left without an engine deal. Honda, Mercedes, Renault and Ferrari had until last Friday to submit their proposals to ease the situation for customer teams, and following a F1 Strategy group meeting on Monday, followed by one of the F1 Commission on Tuesday, an agreement has been reached. The manufacturers had been put under pressure by the FIA by writing out a public tender for an alternative engine formula in F1, to which three companies had already expressed their interest in. The aim though, as is usual in Formula One, was to pressurize current suppliers to come up with a viable solution as customer teams currently are troubled to keep their heads above the water because the high power unit costs. It is understood that the deal was agreed in return for assurance that the current engine formula will remain in place until at least 2020, ensuring current engine manufacturers of a stable regulatory basis for the next 4 years. As power unit prices are targeted to come in at around €12m, the cost reduction is substantial, with teams currently paying up to 50% more than that amount. To further reduce costs, it was also agreed to reduce the number of available gearboxes throughout the season to three, while the suggested return of refuelling was not witheld, most likely as it would work against Formula One's attempt to build a more environmentally friendly image. 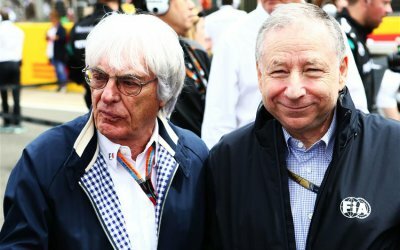 The agreement means that Jean Todt and Bernie Ecclestone will not need to force changes upon teams, and settles the power unit discussion for the near future, if at least they get formally ratified by the FIA's World Motor Sport Council (WMSC).